It’s Wednesday 12th September and the weather in Japan has calmed down after a very hot summer. Richard is the name I use for modelling work and also when I am DJing. Nothing scientific about the name, just a name I like to use. At the moment I am currently working on a remix for an artist. The basics of the song I put together in about one hour, the rest is sound design and trying to get the overall song to stick together (arrangement). Here below is my work project. 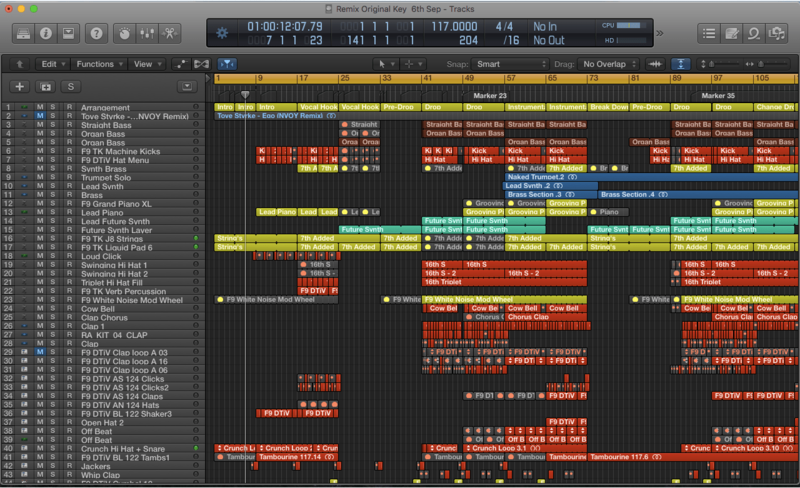 In RED are the drums and yellow are synths and Pianos. The tempo is 117bpm. Everyday I use Logic Pro X to make music. Usually starting with a template and building a song from there. Here is the link to the remix.